The 3 knife quick-change, self-setting cutterblock enables planer knife changes in a matter of seconds and produces a finish that will please even the most critical eye. Do you have any questions? Complete our contact form and we will get back to you as soon as possible. 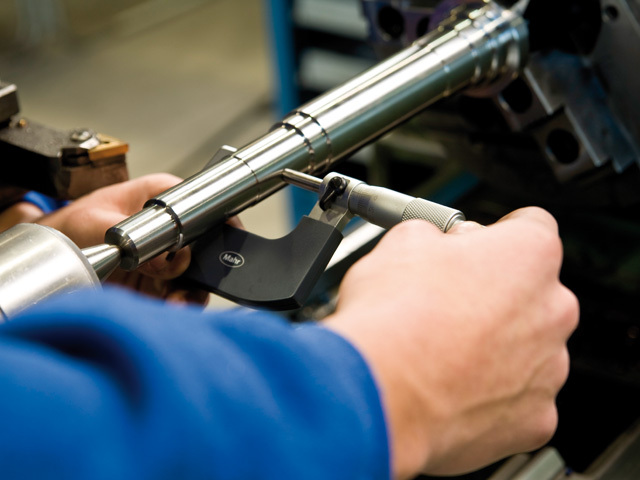 The maximum thicknessing height of 225 mm is a guarantee for the perfect processing of large and heavy workpieces. An even more precise, tenth of a millimetre accurate adjustment of the thicknessing height is possible as an option with a handwheel and integrated digital clock. The aerodynamically optimised construction of the dust extraction hood with its ample chip space guarantees an ideal chip extraction and clean working surface. HAMMER - Stability, functionality and reliability from Austria - Hammer woodworking machines are a top-quality product from the Felder-Group Since 1997 Hammer have been producing high quality yet affordable woodworking machines for smaller workshops and businesses. The models have been specifically designed for this customer group and are now available in the basic, winner and perform configuration, offering price optimised solutions for every requirement. Decades of experience building machines, Austrian craftsmanship, strict quality standards and tried and tested Felder system solutions, guarantee excellent woodworking machines, the best operating results and customer satisfaction for years to come. 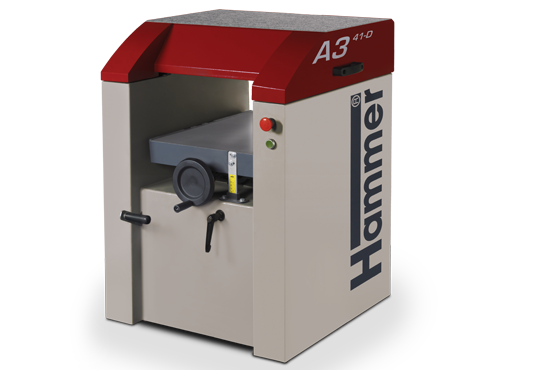 From the passionate woodworker to the business user with high demands, with machines from Hammer you are guaranteed reliability and precise woodworking. A thickness planer that is impressive not only because of its performance but also because of its build. The solid planing table made of cast iron, the automatic planer knife system and the best operating quality guarantees perfect planing and thicknessing results of the A3 31!